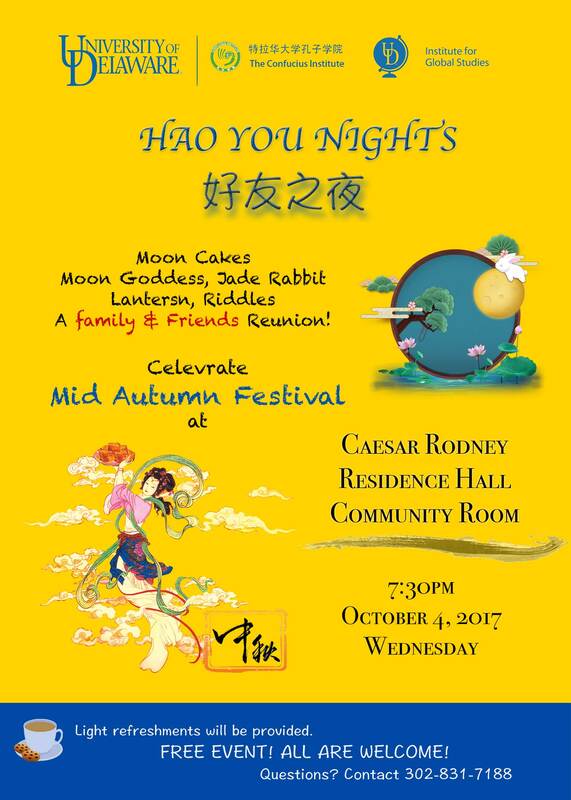 The Confucius Institute will continue working with the Institute for Global Studies to resent a new series of Hao You Nights (好友之夜) activities featuring Chinese culture elements, fun games and tasty food in the Fall. Bring a friend or come solo but definitely attend, and have fun! Win prizes for participation! 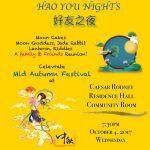 The program takes place at the Community Room in the Caesar Rodney Residence Hall and is open to all World Scholars and students who live in the residence hall on the South Green. 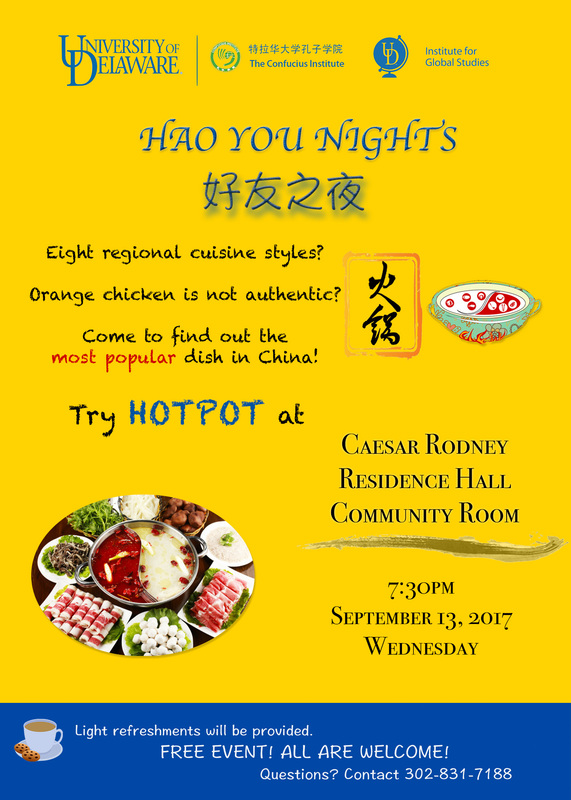 Come to taste the most popular dish in China — Hot Pot! 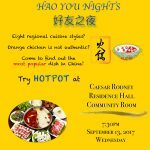 Meet in the Caesar Rodney Residence Hall Community Room. They’re cute, they’re cuddly, and they’re simple to paint with ink and brush! Meet in the Caesar Rodney Residence Hall Community Room. Tuesday November 28, 7:30 p.m. 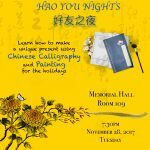 Using a special brush and rice paper, learn the basics of calligraphy and painting to create unique presents for the coming Holidays. Meet at Memorial Hall 109. 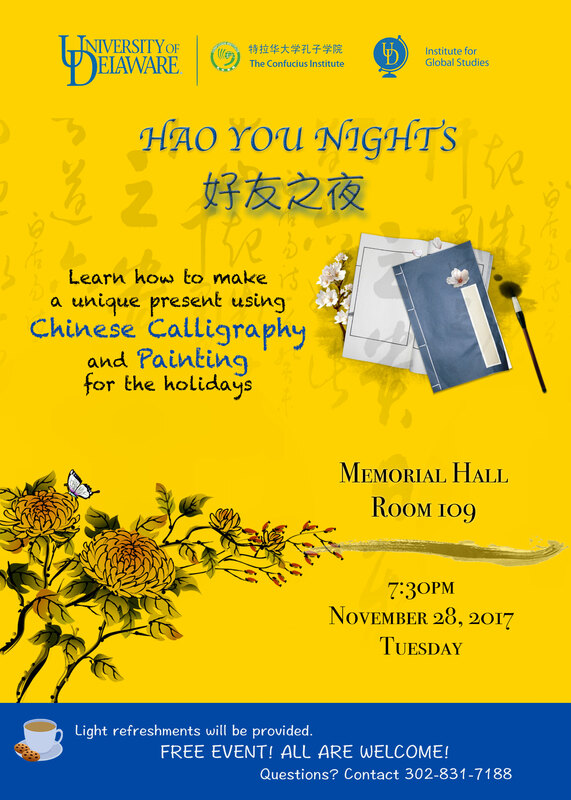 For more information, contact the Confucius Institute at 302-831-7188 or 7190.